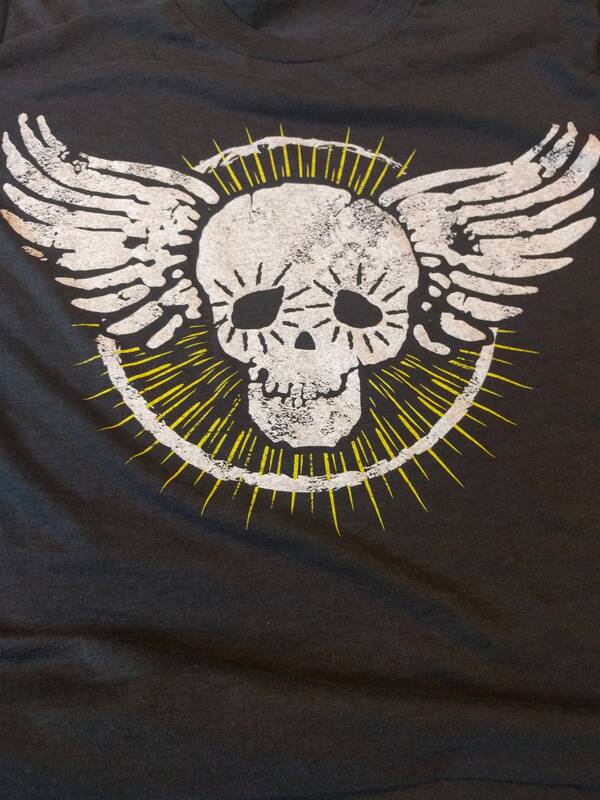 Sunny in Georgia's "flying skull" tee. screen printed on a solid gray tri-blend unisex t-shirt. super comfortable with a vintage worn in feel. Follow Sunny in Georgia on Instagram ! 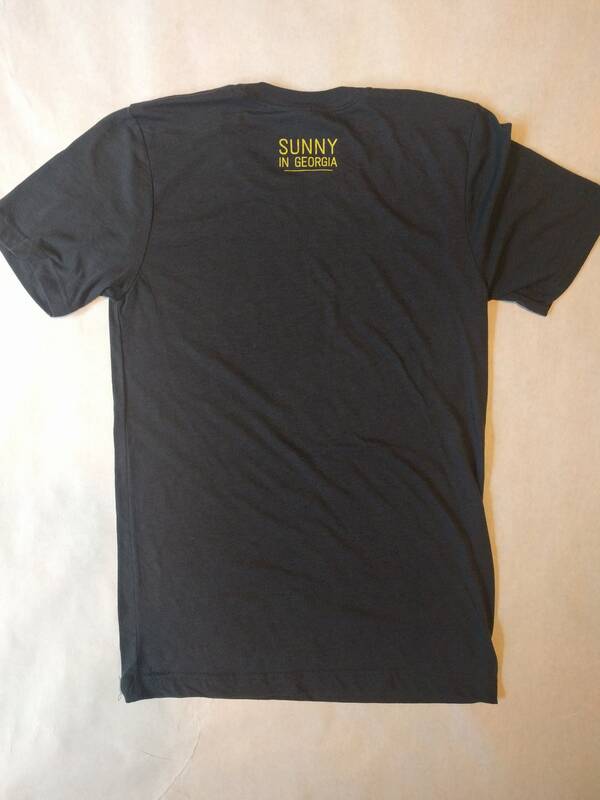 -all designs are property of Sunny in Georgia llc. 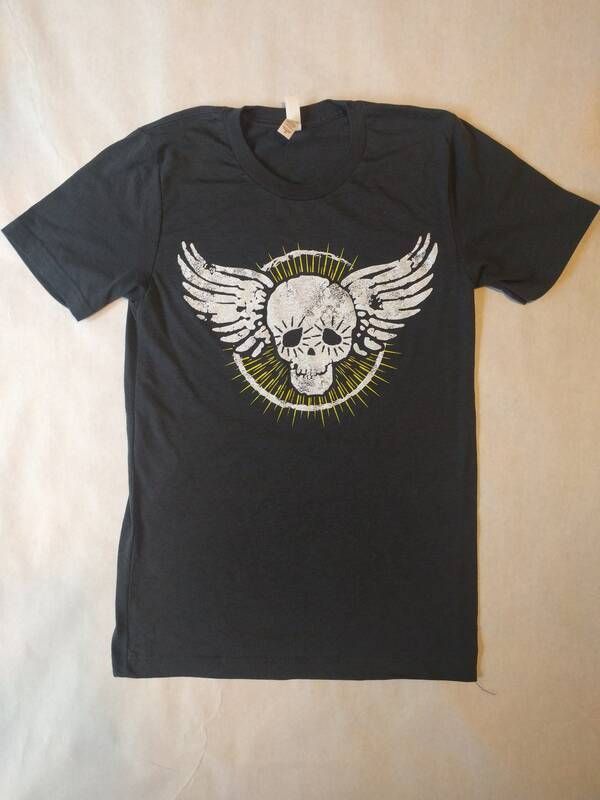 Very nice quality t shirt with an awesome design. Love it! Thank you for the extra gift.